Grandma Bonnie's Closet: Blendtec Total Blender Classic Series Giveaway! Blendtec Total Blender Classic Series Giveaway! If you want this blender you may enter the giveaway below, stop on over to Terri's Little Haven or My Journey With Candida to enter. This blender may just be the "perfect blender" I hope I win so I can see for myself. 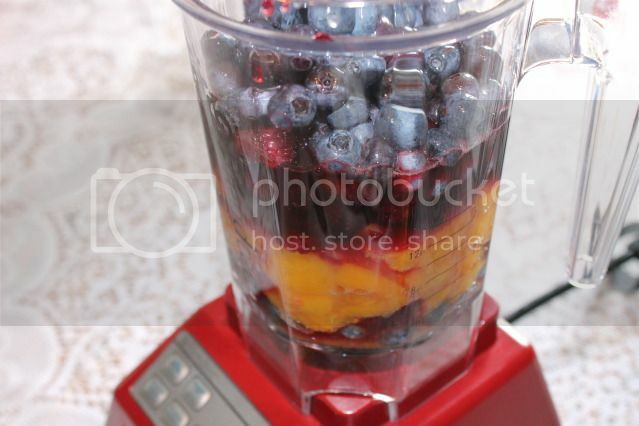 I seriously use a blender EVERY day and would love this one with the Smart Touch Technology! How cool would that be? Wouldn't this be a great blender to have. Terri made so many things with it. I make smoothies for breakfast and really need a high-powered blender! I would love a high speed blender and Blendtec has been on the radar for me. I make so many things from scratch and this could replace my old dilapidated blender and my little food processor. Smoothies, nut butters & sauces, oh my! Nice giveaway. I entered and left a comment at Terri's Little Haven.